Product information "Accessories | Skirting board PL005 14,5 x 50 x 2400 mm"
The 14.5 / 50 skirting board is our medium height skirting which can be used anywhere. The base material is plastic which makes it water-resistant and it is therefore also suitable for use in humid environments. As this skirting is supplied in white, it blends in with any decor. 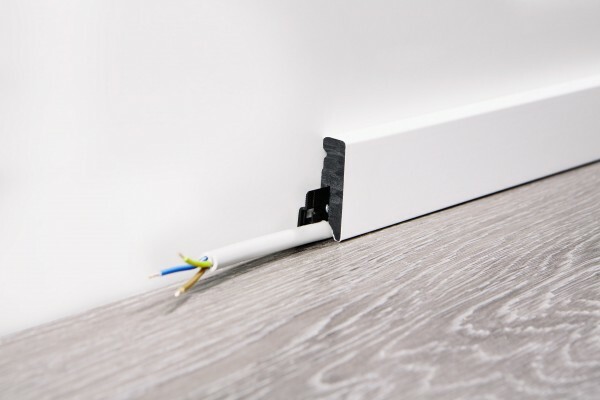 This skirting is easy to install and remove using the wineo Clipholder fastening system.